Go read the blog post that Bill links to from Mapzen and then come back here. I love OpenStreetMap. It’s the best. In my opinion, it’s the most important thing to have happened to the geo community since Dr. Tomlinson started working with map overlays in the 1960s*. Geo-tech has rapidly grown and matured over the past two decades. Not long ago, most things GIS and geo-tech were reserved for governments (local to national) and academic institutions. Thankfully, that isn’t the case in today’s world. Geo-thinking and geo-tech is everywhere and OpenStreetMap is a major reason why. But how has OpenStreetMap helped make location and geo so prevalent to a growing variety of industries and institutions outside of government and academia? Why is that story that Bill linked to so important? I think there are a few reason. OpenStreetMap has greatly expanded access to geo data worldwide – When OpenStreetMap started over ten years ago it was created as a response to limited geo data access, primarily in the UK. From those early days to now OpenStreetMap, and its many partners, have made access to both consuming and contributing data increasingly more easy and efficient – for anywhere in the world. Here in the US of A we have always had pretty great access to some level of geo-data, but that hasn’t always been the case in many other countries. Beyond opening up data resources, OpenStreetMap has also helped introduce spatial data to a wide audience, including many with very little knowledge of geo as perhaps you or I know it. That’s awesome. It is open (and flexible) – Some early detractors (including myself) were once worried about OpenStreetMap undercutting the “authoritative” and “established” (and for cost) data providers in the marketplace. I think there was an early worry about data quality and data trust. I believe that almost all of those worries are now gone. The fact that anyone with a web connection can view or edit the data makes it that much more powerful. And because it is open, I believe the people who contribute (many of whom are “pros”) take their adds and edits very seriously. I know I do. OpenStreetMap is also incredibly flexible. 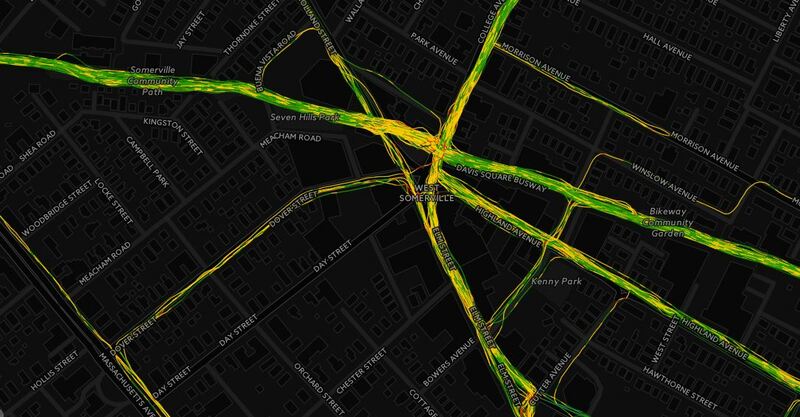 Even though the commercial data vendors have gotten much faster at incorporating updates (in general, governments are still slow), OpenStreetMap is known for its ultra-fast updates, primarily due to its dedicated community of contributors. That, to me, is one of its greatest advantages. The data is never old on OpenStreetMap. It is for the greater good – One of my favorite things about OpenStreetMap is its large and dedicated community. One of the best parts of this community has been HOT OSM, whose members help coordinate updates to OpenStreetMap to areas impacted by natural or humanitarian disasters. The data they develop in the hours and days after a major event (for a great example, look at their work following the 2010 Haiti earthquake ), especially in developing regions, is critical to many, including those on the ground aiding relief efforts. See also @TheMissingMaps project. It has enabled an emerging industry to grow – OpenStreetMap has forever changed the way we look at geo-data and the technology surrounding it. This change in perspective has helped foster a growing number of geo-enabled companies. Would companies like Boundless, CartoDB, Mapzen, Mapbox, or Mapkin be as successful if OpenStreetMap wasn’t around? Maybe. Maybe not. What about the success of the Leaflet API, or the growth of FOSS4G? Would they have been as important in the geo and tech worlds if it wasn’t for OpenStreetMap? Probably, as they are both awesome. However, I believe that because of OpenStreetMap and all that it provides and all that it stands for, that these types of organizations, ideas, and companies will continue start-up and contribute positively to our profession. So, let’s go back to the beginning of the post. Why did I link the tweet from Bill about Mapzen’s latest efforts regarding Mapzen Search? Well, I think their work, along with many others, is proof of how valuable OpenStreetMap really is and will continue to be. The OpenStreetMap community is maturing and the industry surrounding it is expanding. We have only seen the tip of the proverbial iceberg when it comes to the potential of OpenStreetMap and what it can do. I look forward to being apart of what’s next. I’ve had a GitHub account for a few months but I never posted anything to it, mostly because I am a busy guy, and I ‘m not very confident in my code (I am not a developer, but I know how to cause some trouble). A few years ago my old boss at MAGIC gave me benjaminspaulding.com and some hosting space as a going away gift. I Didn’t do much with it early on (I built this site instead using the hosting), but eventually I set up a static page with some basic info. Well, after a few months of poking around I finally got the new benjaminspaulding.com up and running. Being a geographer, I have some mapping components on the site (powered by Leaflet) along with links to my twitter, linkedin, and GISDoctor sites. The site is a hobby of mine and by no means do I profess to be a professional web developer. I did test the page with the latest versions of IE, Chrome and Firefox and everything I wanted to do worked. However, if something is broken for you let me know. A few weeks ago everyone on earth learned about Map Box’s cloudless atlas, a cloud free mosaic dataset, generated from freely available Lansdat data. It was all over the twitterverse and Wired magazine even wrote about it. But, did you know Google came out with a cloudless imagery layer last week too? They did! Read about it here! Sometimes it’s good being the second one to the party, but I think only a couple people noticed that Google showed up at the cloudless atlas party. Whoever does the marketing and PR at MapBox should get a bonus and a raise. It’s not everyday you get more media traction than Google. It is pretty well known that cloudless imagery is nothing new. I remember working on projects in grad school several years ago on this same problem and researchers have been developing tools and processes to analyze cloudless imagery for years, as a quick search on Google Scholar will demonstrate. Regardless, these are great datasets for visualization, and the fact that they are easily accessible to those making “beautiful maps”, not just GIS nerds, is excellent. We need to give these organizations a lot of credit. They took a phenomenal, freely available data source, added some intelligent and creative processing, developed some incredible datasets, and got the spatial and non-spatial world to notice. Kudos to them. I usually don’t respond to comments on my blog post, but I feel the need to respond to a couple items from a recent comment posted on everyone’s favorite article on this blog. Before I start my response let me say that I agree with some parts of the comment, which I will discuss later. However, I really disagree with other passages and I’ll talk about those first. “ESRI days are numbered. The place is a sinking ship. They have totally lost control of both the gis data and software monopoly they once had back in the 80s and 90s. Open Street Maps and QGIS are hammering ESRI now. You can’t give away ArcGIS since EVERYTHING is free with other gis packages and data. There are so many map apps and programs that BEAT ESRI at their own game. Newer and easier ones are popping up faster everyday now. A person off the street can make a cool mash-up using QGIS and geoJSON. And there is NO need for a degree in Geography to make maps anymore! This field of study is basically dead and has been bypassed in the last few years. Colleges need to stop teaching it since the public uses digital maps everyday now and are getting daily geography lessons for free! ESRI better be shopping themselves around before Google adds massive gis tools to Google Earth and finishes them off. This multibillion dollar company will be worth nothing in a few years at the rate of free map tool and data advancement. Sounds like not too many smart people are left at ESRI since most have left to go to start ups. ArcMap 10 basically validates this. The “open vs. commercial GIS” mentality is getting old. I am getting sick of it, and you should be too. We should all be vested in the development of GIS as a science, as a tool set, and as a way of thinking, whether it is commercial or free, open or closed. GIS is aided by the growth of both free and open source and commercial software. It is pretty well known that the commercial sector now has real competition and they need to respond. This is a good thing. Saying that open source GIS is going to kill commercial GIS software is like saying that Linux has killed Windows or PostgreSQL killed Oracle. These commercial GIS shops are embedded deep in many organizations and they aren’t going to be dropping them any time soon. That is a choice that they made, and when the business case dictates a change they will make it. Now, will organizations who are new to GIS or at a point of transition choose to go with open source platforms that are light-weight, reliable, and free and easy to use when they design their next implementation? Probably. I would, especially if cost was a factor. The more scientists, engineers, planners, civic leaders, decision makers, concerned citizens, business leaders and educators who use GIS the better it is for GIS community as whole. The GIS community should be working together to move technology forward – not digging trenches and setting in for battle. It is a horribly counter productive strategy. Any users of GIS, online mapping, or spatial analysis would logically want the field to grow and evolve. Competition helps drive that growth and evolution and I am all for it. And, why do people keep saying/thinking that Google should buy Esri, or that Google Earth is going to overtake ArcMap? I’ve never understood this argument. Never. Why would Google, who has really failed at commercializing their current geo-stack, go after such a small market when compared to their other endeavors? If you were a smart company that makes a lot of money what market would you focus on as revenue driver? Millions and millions of mobile users, or a few thousand specialized (and picky) GIS software users? How many of you are paying for Google Maps or have bought Google Earth Pro? Not many? That’s what I thought. Let’s just drop this train of thought. This statement is so horribly misguided I don’t even know how to respond. Let’s try. There is a calculator on every computer and smartphone made, and we use them all the time. Does this mean we need to eliminate math as a discipline at the university level? Anyone can download a content management system and build a website. Time to get rid of computer science departments! Turbo Tax! Get rid of accounting majors! WebMD. Who needs pre-med? See where I am going with this? Just because a tool exists does not mean that a particular discipline should be eradicated. You still need some background to understand what you are looking at. I have three degrees in geography. A bachelors, masters, and Ph.D. . During those years of schooling and research I did far more than make maps and use online mapping tools. Geographers study far more than just cartography and learn about place names, check out my dissertation for proof. Geographers have been crucial in the development of the theory, logic, and science behind the G in GIS. The field of geography has also provided countless contributions to spatial analysis, policy and planning, environmental science, economics, anthropology, sociology, biology, civil engineering, and many more and will continue to so. In fact, we need more geography being taught at all education levels. Geography matters. It always has and it always will. To say that geography doesn’t matter displays a lack of understanding that is all to common in the GIS community. Sometimes I am floored with the lack of understanding of the basic principles and fundamentals of geography among those who use GIS, online mapping tools, or any other type of spatial decision making system. Without a basic foundation in geography how do you expect to make the correct decisions using a GEOGRAPHIC information system? I’m not saying that everyone who uses GIS needs a Ph.D. in geography, but taking a couple geography courses during your undergraduate years isn’t going to hurt. Now, what do I agree with from the comment? Governments need to invest more resources in free and open source software of any type. No excuses. OpenStreetMap is great, but let’s not forget where a majority of the US data came from in the early uploads (TIGER). One of the great things about living in Boston is that there is a very active geo-community. Every few weeks there is something interesting happening, whether it is an AvidGeo meet-up, a geo-colloquium at one of the many schools in Boston, or an industry sponsored event. One of those events happened this past Monday at Space with a Soul in Boston’s Innovation District, organized by Avid Geo and the Eclipse Foundation’s LocationTech group. The event focused on open source geo-based projects. The room was full of geo-thinkers from a variety of backgrounds, and thanks to a number of sponsors (AppGeo, Azavea, IBM, Actuate) there was plenty of food and beer! Added bonus, participants from the PostGIS code sprint were in town! The lighting talk format – five minutes, 20 slides, auto advancing – works really well for these types of events. The speakers are energized and the crowd stays captivated. I tried in vain to keep up with Twitter during the event. Let’s take a look at my 140 character rundown of the evening. Quick note – I missed a couple speaker’s names. If you know them please post a comment so I can update accordingly. UPDATE – I only need one more name! Second quick note- Ignore the grammar mistakes in my tweets. I am a horrible with my thumbs. Andrew Ross from LocationTech opened up the evening. He talked about the mission of LocationTech and explained how the Eclipse Foundation helps open source projects get off the ground and stay relevant. Michael Evans and his colleague whose name escapes me (if you know, please let me know so I can update this post) talked about ongoing efforts in Boston’s City Hall to improve data sharing, analysis and visualization. They talked about the extremely popular blizzard reporting site that famously crashed and how it was both a success and a failure. It was a success because it was so popular, and it was a failure because it crashed, and crashed hard. They also talked about efforts to make data resources work with more efficiency within City Hall. I’ve seen Jeffrey Warren from the Public Laboratory give talks a few times over the past couple years and he and his colleagues are always doing something innovative. He didn’t disappoint during his talk on Monday. He talked about the Public Laboratory’s open source spectrometer. It was pretty amazing. I wish he had another 25 minutes to go into more detail. Christian Sparning from the Metropolitan Area Planning Council talked about the Hubway’s visualization hackathon. If you are in the Boston area you have probably seen some of the results of this event over the past several months. The Hubway folks released a whole bunch of data – ride numbers, origin/destination data, temporal data – and then held an hackathon. Christian talked about the variety of people who participated and the variety of creative ways they analyzed and visualized the data. UPDATE: Thanks to Andrew Ross I got an update on the evening’s last speaker (I didn’t catch his name at first). The last talk was from Ken Walker from Eclipse, talking about the Orion Editor. I’m not too familiar with Orion, which is a browser-based tool for developing on and for the web, but it looked like something I should learn about, soon. I encourage you to check out the link to learn more. Ken was kind enough to post his slides as well. Overall, this was a great event. Avid Geo and LocationTech did a great job putting this together and the speakers inspired those in the audience. I really think you are seeing the future of geo at events like this. Geo is no longer just for technicians working in municipal offices. Geo is moving beyond GIS, web mapping, and cartography. Geo is now everywhere and anywhere and that is a great thing. In the near future geo will be even more ubiquitous throughout the business and technology worlds and there will be a growing demand for people trained in the geospatial sciences. Events like this keep the field moving forward! The folks from AvidGeo, Boston’s #1 social spatial special interest group, are at it again. Another awesome Meet-Up is scheduled for the end of this month. “In collaboration with the Eclipse Foundation’s LocationTech, this month we are doing another Ignite event around geospatial and open source technology. The event is at Space with a Soul, 281 Summer Street in Boston (a short walk from South Station) and it starts at 7pm. There are a few talks already in place and they look great – Hubway mapping, open-source multi-spectral imaging, Leaflet mapping, contributing to open source geo projects – what more could you ask for! If you are in the Boston area and are into open geo you should need to come to this event. I’m pumped that I can finally make an AvidGeo Meet-Up for the first time in months! For more info check out Avid Geo’s website or hit them up on Twitter (@avidgeo). Happy Presidents’ Day – Leaflet Edition! I’ve been seeing a lot of Leaflet lately, whether it’s in my twitter stream, on Boston.com, or hearing others in the geo-community talk about enthusiastically. So, on a snowy Sunday in Somerville, I decided to give a Leaflet a try. To honor the 43 presidents (remember, Grover Cleveland was both the 22nd and 24th president) of the United States of America I put together a simple leaflet app of each president’s birthplace (according to Wikipedia). I’ve built plenty of web mapping apps with Google and Esri APIs, but by no means am I an expert. If you have ever built a web-map using either of those APIs you will be able to build and launch a web map with Leaflet, no problem. More than likely, you will be able to create a web ready map more quickly with Leaflet as well (as was my experience). The app I built adds a few markers with custom icons and modified popups. I read in and customized a state boundary geojson file from a Leaflet tutorial to give the user some context of “where” at larger scales. The background tiles are from CloudMade and are nice and fast. I don’t think I configured the autopan for the popups correctly as it doesn’t work as I think it should. More than likely I just don’t have the right settings configured. If you see something in my jumbled (and undocumented) code leave a comment and I’ll make the necessary updates. I would eventually like to add a drop shadow to the presidential seal icons and perhaps read the data directly from a PostGIS database, as opposed to creating static markers. The Leaflet documentation was easy to understand and the samples provided enough guidance to get a map online that did what I wanted it to do. I wish there were a few more samples available through the Leaflet tutorials section, but those will come as the user community grows. The page I created is for demo purposes only. I only tested this in Chrome and Firefox (sorry IE users). If there is incorrect information in the map please let me know and I will update it accordingly. Open Source – The open geo-software community had a great 2012. I really see this momentum continuing to grow in 2013. The key to continued adoption (beyond great software, easy to use platforms, and continued innovation)? Get open geo-software into academia. The more undergrads who learn GIS on Quantum, GRASS, PostGIS and the rest, the more this movement will continue to expand. OpenStreetmap – Recently Openstreetmap hit 1 million users. As a somewhat semi-regular contributor I see great promise in OSM but OSM can’t end up like Wikipedia, which is losing editors and contributors. OSM can never be completed, and the army of volunteers will hopefully see that. I should probably do some mapping this weekend! Open Analysis – I would love to see the the geo-community become more open with analysis. This could include sharing analysis techniques, working together to develop new analyses, or helping the world understand geospatial analysis. A map is far more than the visualization of the abstraction of space. Let’s start promoting the science of the understanding of patterns in space! Hoorary open geography! Hooray 2013! Crowdsourcing Boston’s Neighborhood Boundaries – Andy Woodruff, Axis Maps. Great idea, great application, great participation, and great execution. I can’t wait to see what they do next. Check out Bostonography for more. Save your Mouse: Automate your Spatial Workflow with PostGIS – Jesse Bishop, Research Associate, Woods Hole Research Center. You know you’re onto something when you are saving yourself literally millions of mouse clicks. Great project and great technique. Really opens up your schedule! Visualizing the Urban Metabolism of Neighborhoods – Dr. David Quinn, urbmet. This was one of several talks that discussed a geospatial analysis that was data intensive, innovative, and had great visualization component. Dr. Quinn did a great job of breaking it all down in five minutes. Trafficked by Sea – Stacy Bogan, Center for Geographic Analysis, Harvard University. Presented a unique approach to modeling ocean traffic networks. During her talk she proved that projections do matter! Geeky Boating Elk, Ryan Westphal, Lead Developer, jQuery Geo Project. Great presentation, taking a totally wild and creative subject, and using it to demonstrate the power or jQuery Geo. GeoHOLLIS: Mapping the ILibrary Catalog – Bonnie Burns, Harvard Map Collection. I used to work in a map library so I can really appreciate this project. So far they have geo-cataloged 12.5% of their 12 million records, allowing patrons to search their catalog geographically. Fontly: Mapping the World of Vintage Typography – Brendan Ciecko, Founder, Fontly. I was really impressed with this talk. Check out Fontly and contribute to the project. Estimating Sandy – Ben Spaulding and Boyd Zapatka, AIR Worldwide. My co-worker and I gave this talk about the work we have been doing the past couple weeks. It’s amazing how much geoscience you can jam into five minutes. Python as an ETL – Mark Zito, GIS Specialist, CDM Smith. Mark demonstrated a few workflows using Python as a geospatial extract,transform and load tool. I need to ask him about getting one of his code samples. Partly Cloudy: Real World Tales of Geo Migration to AWS – Michael Terner, EVP, AppGeo. Michael shared AppGeo’s experiences about moving to the cloud. Really focused on the benefits, which I thought were right on the money (he talked about cost savings, if you didn’t get my pun). Making Sense of 500 Million Location Requests Per Day – Richard Sutton, Geospatial Lead, Skyhook. I think everyone who was in the room (100+ people) wanted his data and databases after he finished his talk. I can’t describe how incredible the data and analysis he described are. The potential for this data is unbelievable. Cartographic Ingredients from the Eye Candy Kitchen – Jeff Blossom, Center for Geographic Analysis, Harvard University. We often forget the basics that make a map a pleasure to gaze upon. Jeff did a great job of breaking down the basic ingredients all cartographers need to remember when creating a map. A big thanks to Guido Stein and the Avid Geo crew for bringing us this event. There is a strong geo-community in Boston and events like this really bring it to the forefront!